Can you feel it? The Autumn hush? Ahem, I suppose not if you're in the southern hemisphere! But up north and certainly here in Edinburgh I can feel the change in the light and the temperatures (blimmin' chilly last night!). There seems to be a calm stillness in people, not so frantic or irritated. Maybe a sense of relief that the summer, such as it was, has ended!? We can focus on enjoying homely activities instead of being disappointed at the lack of picnic weather. It's definitely time to start preparing a cosy nest for the winter and as we know that always brings out the best in our creativity! Love the helleborus! Definitely signs of Spring down under! I almost went with 'the autumn blush' for the title of this wee collection! 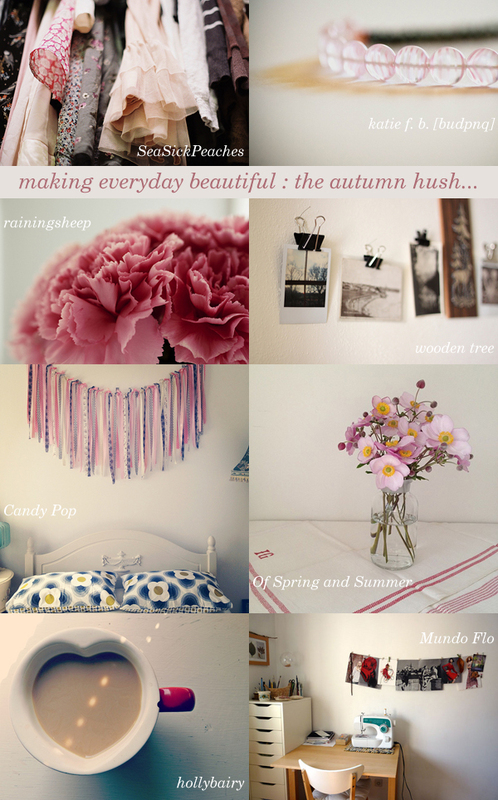 Is pink and blushes big this autumn!? Beautiful and inspirational photos though! Thank you! I agree. Edinburgh is beautiful just now and so many people have said how much they like this cool clear weather with the most amazing light.